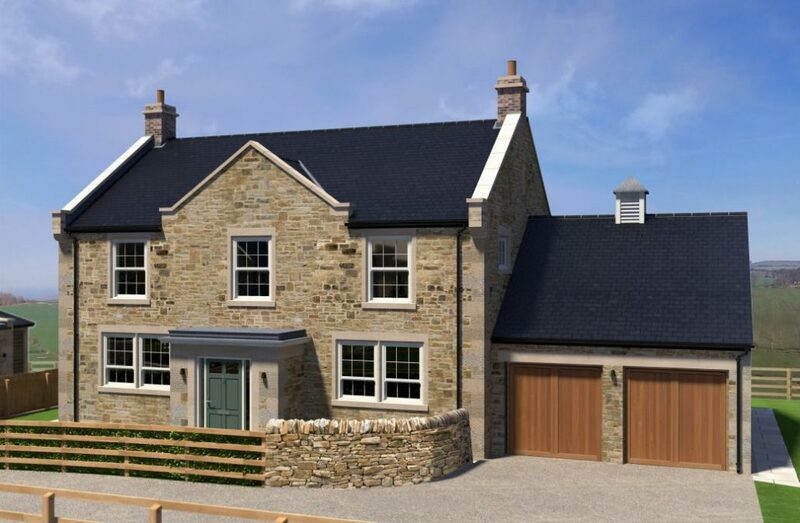 Pleasantly situated at the heart of this superb development, a timber gated entrance leads onto a spacious gravel driveway towards the attached double garage. 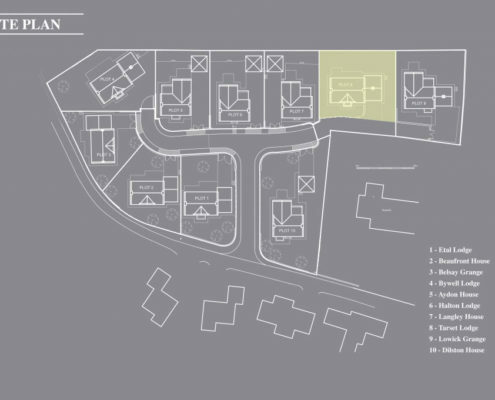 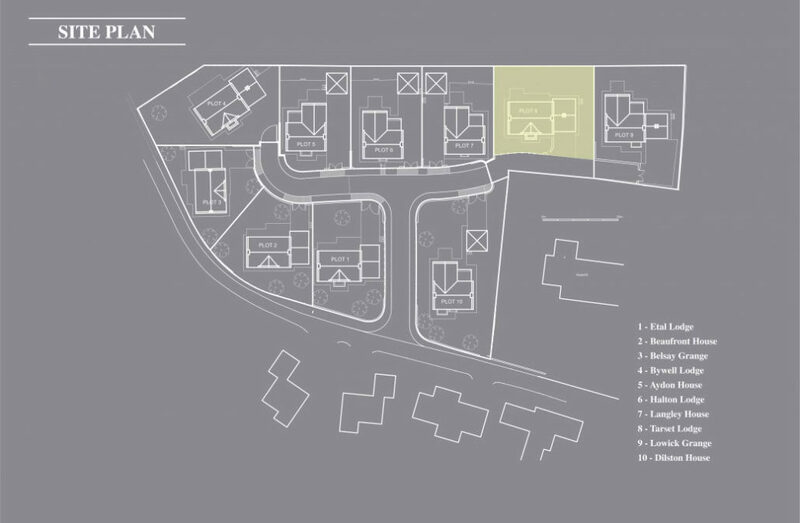 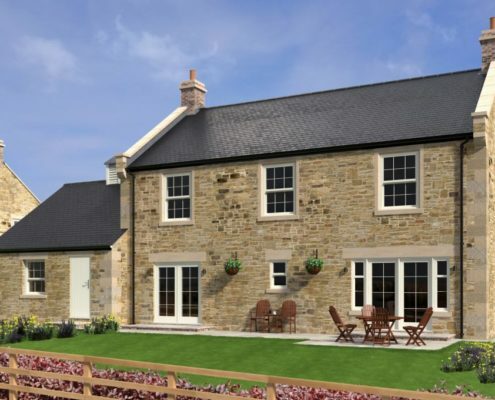 Stone flagged pathways lead you to the entrance and around the property with its stunning landscaped gardens mainly laid to lawn with patio seating areas. 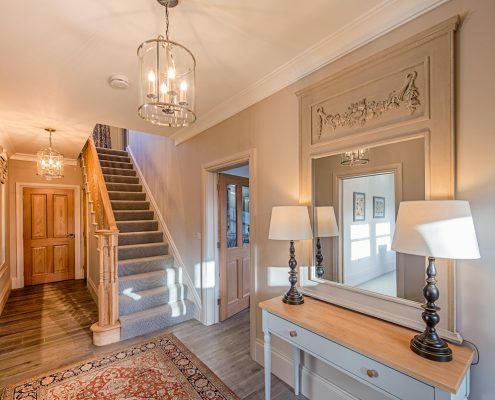 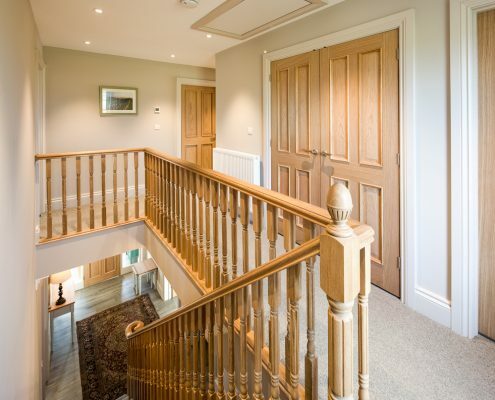 Double fronted detached house with a porch leading into a central entrance hall incorporating a feature staircase which leads up to the first floor and a cloakroom with WC. 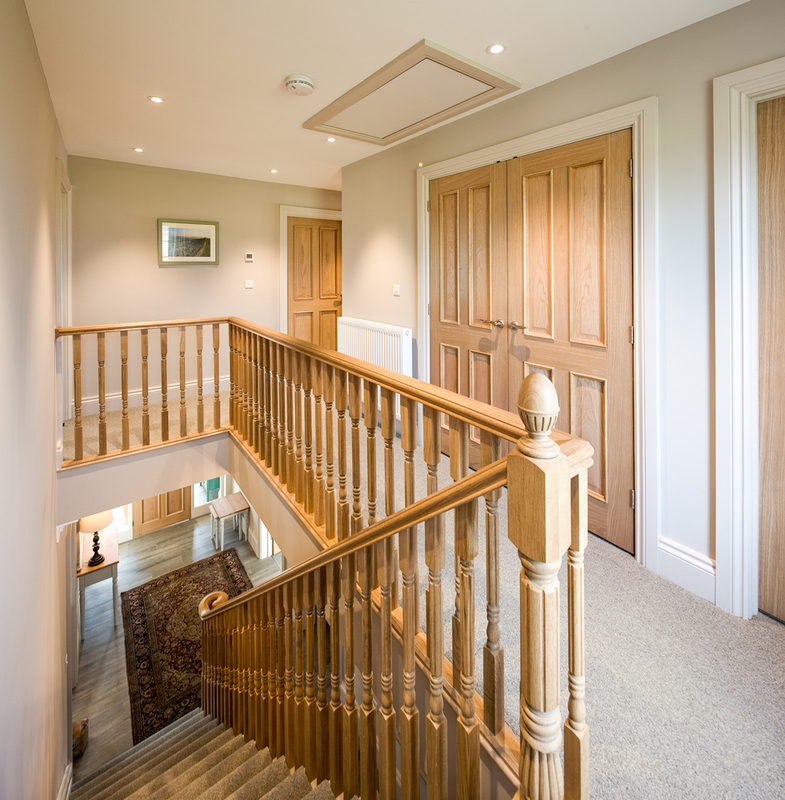 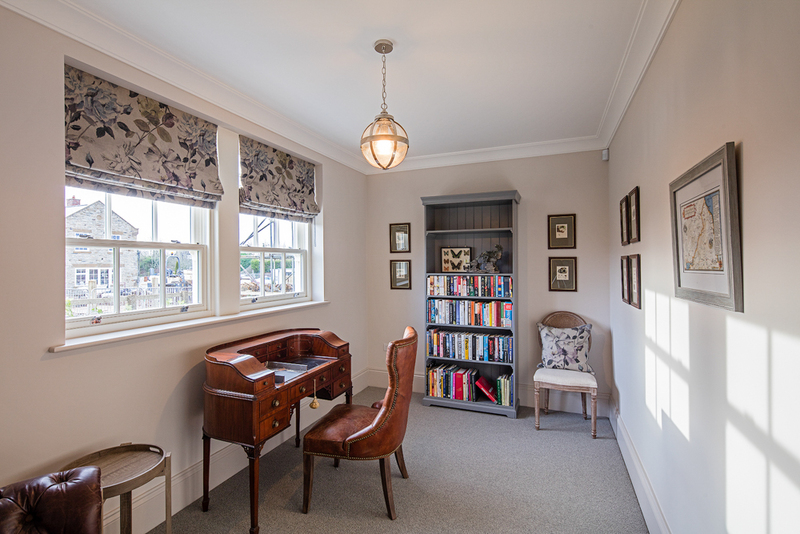 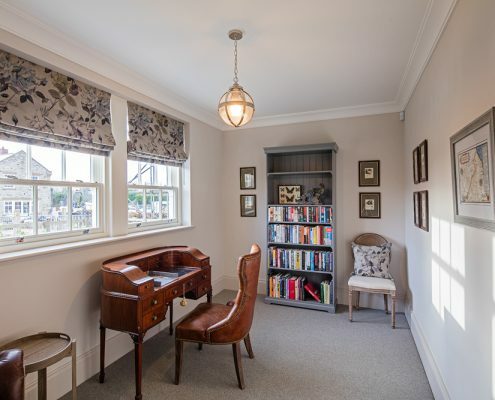 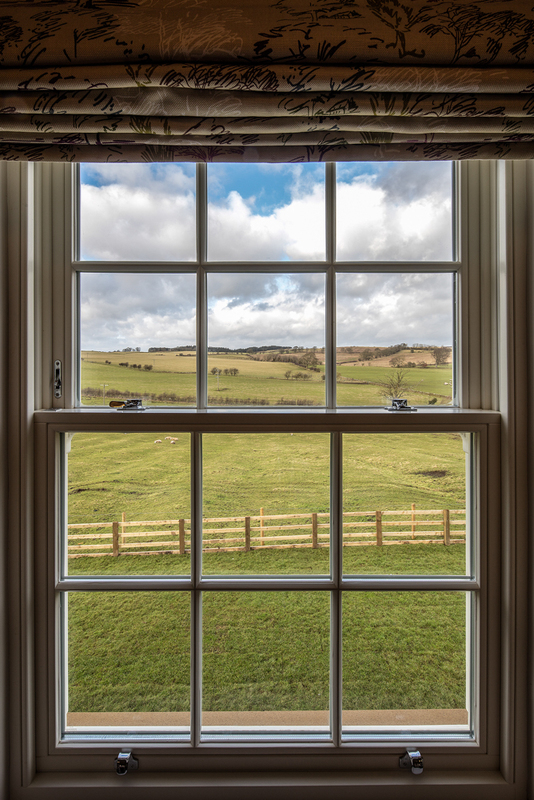 Accessed via the hall are two reception rooms including a useful study and a lounge with double glazed doors leading out to the landscaped gardens. 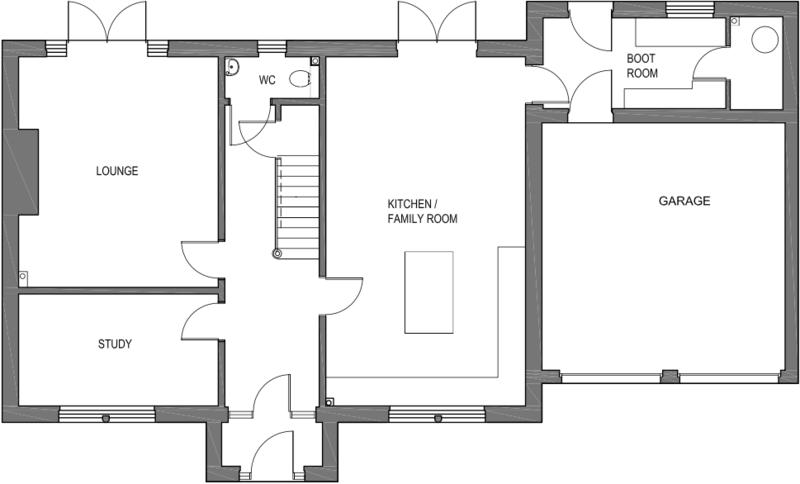 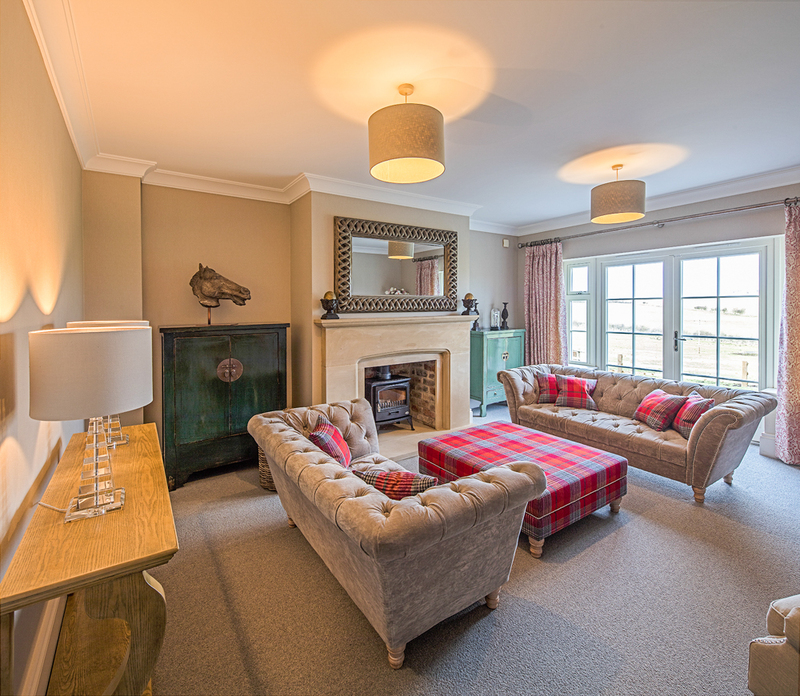 This fabulous room incorporates a truly superb feature fireplace housing a multi fuel stove. 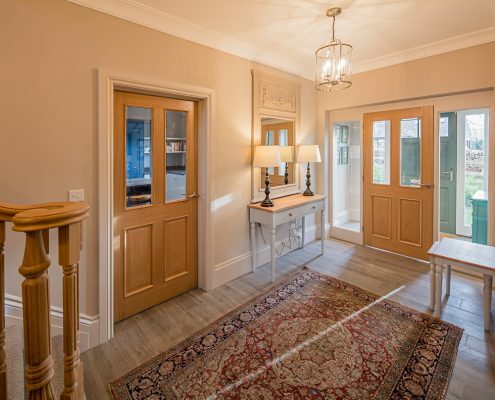 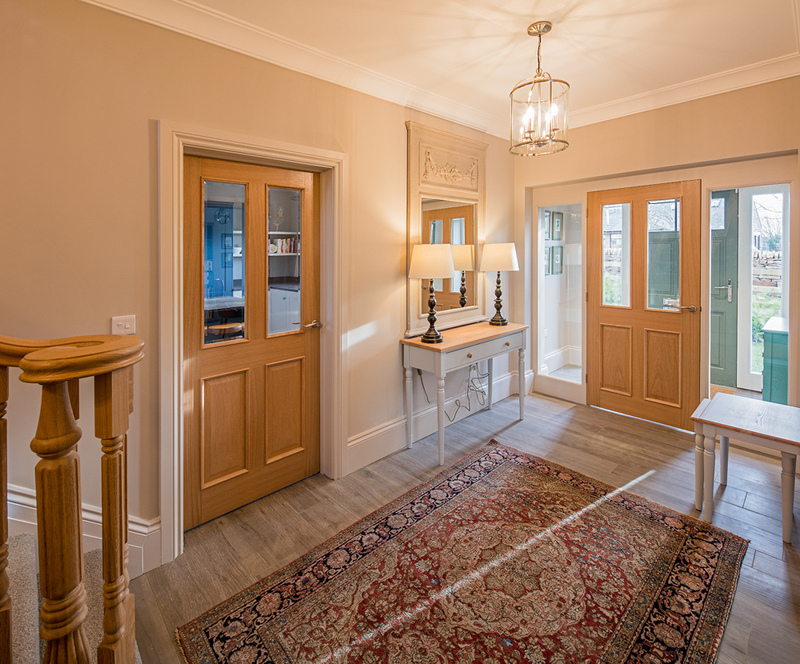 A further glazed door entices you from the hallway to a stunning kitchen/ family room, this delightful room is dual aspect with another set of double glazed doors leading out to the landscaped gardens. 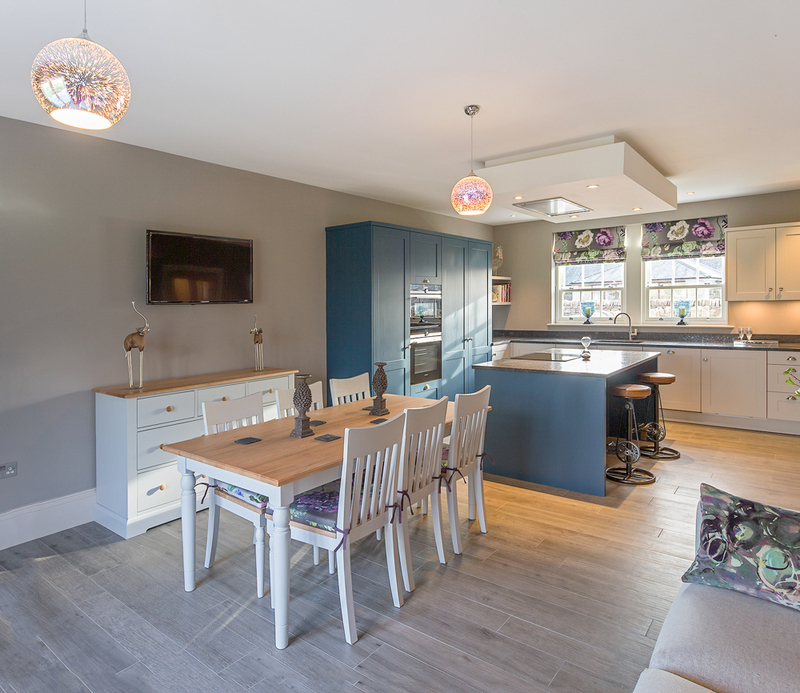 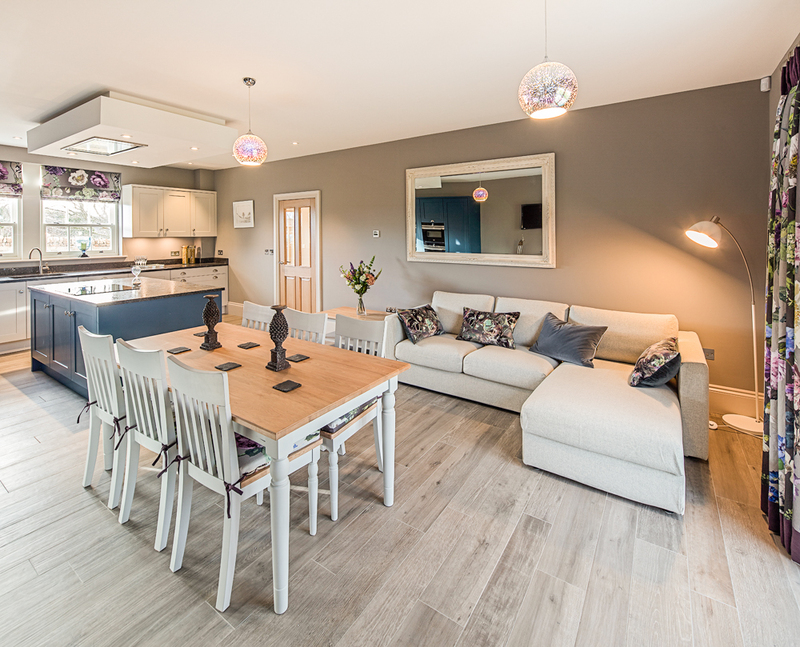 The kitchen exudes quality with bespoke handmade painted furniture, integrated appliances, a central island, granite work surfaces and tiled flooring. 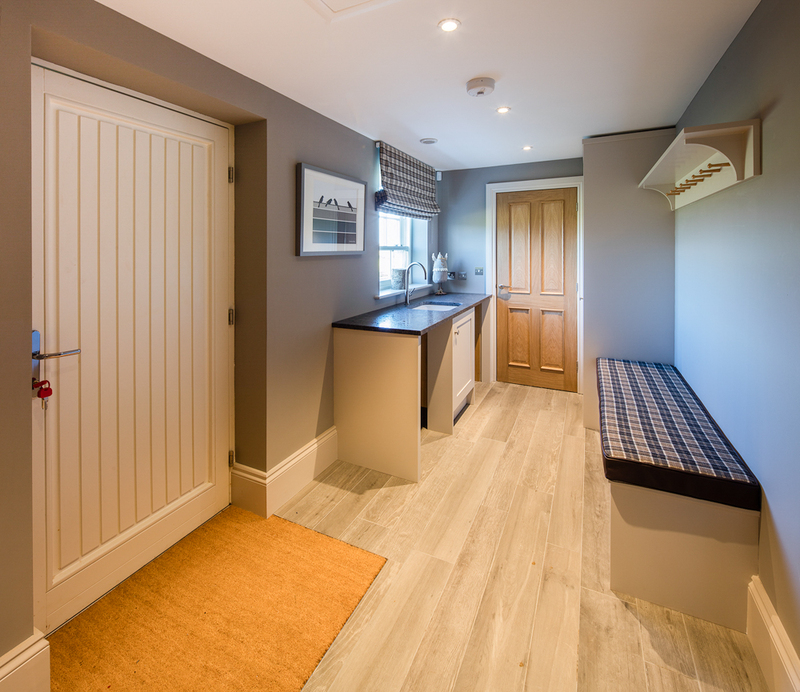 Accessed via the kitchen is a useful and good sized utility room/ boot room with internal access to the double garage. 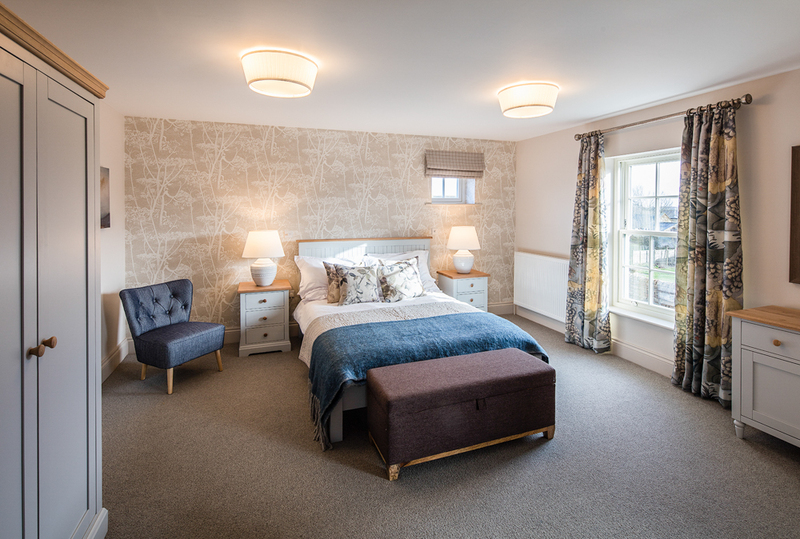 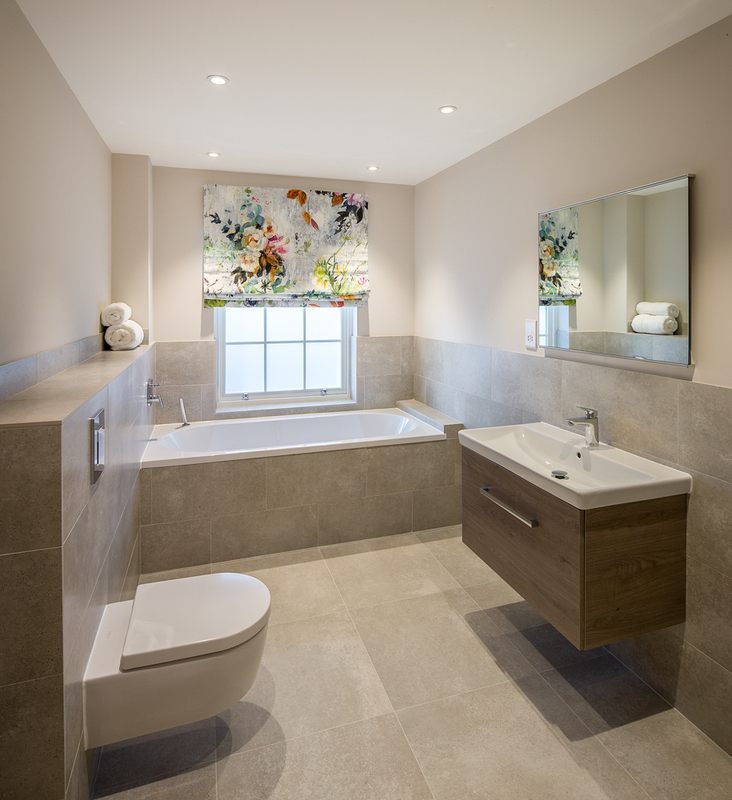 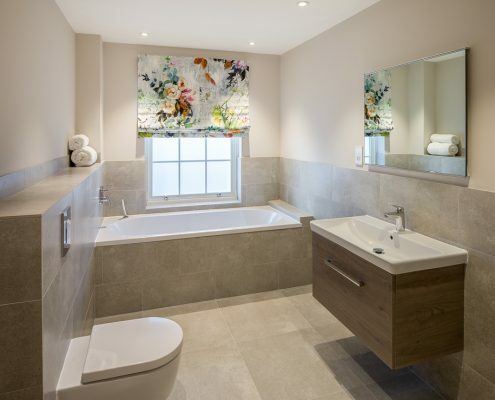 The first floor includes a spacious master suite with en suite shower room comprising of a walk in shower along with a range of contemporary fittings. 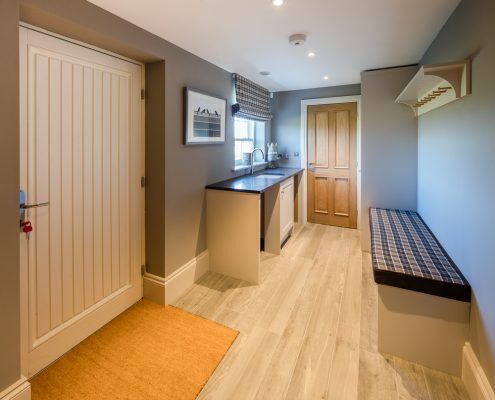 There are a further three double bedrooms along with a spacious and stylish family bathroom which includes both a bath and separate walk in shower. 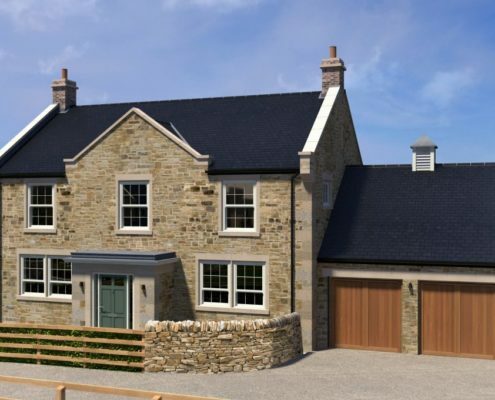 Traditional stone built with natural slate roofs. 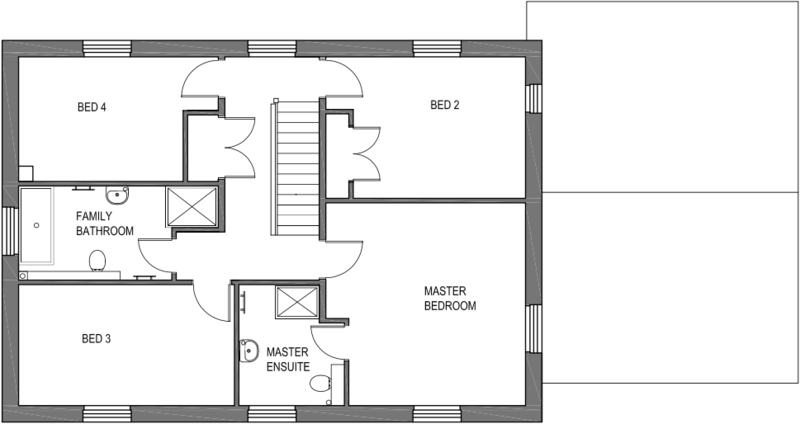 Efficient Air source heat pump with under floor heating. 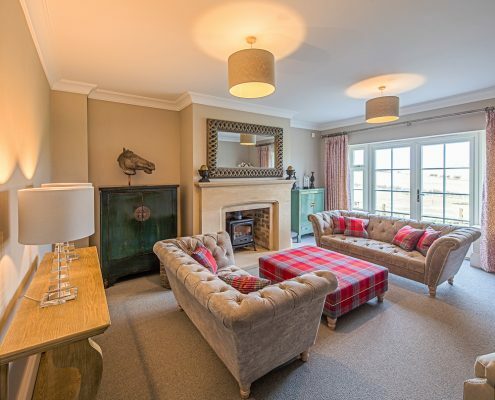 Please call Youngs RPS on 01434 608980 to arrange a viewing. 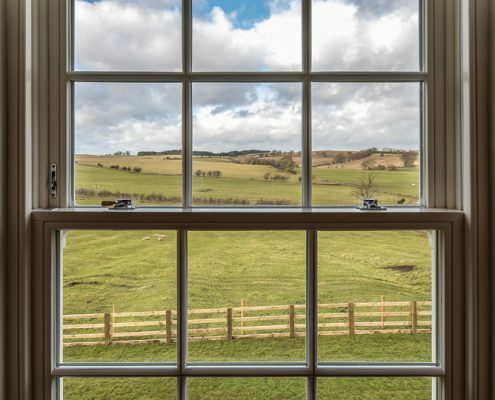 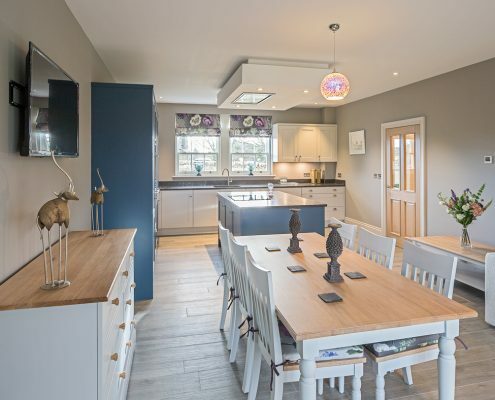 Great Whittington is a charming village situated in the Tyne Valley approximately 4 miles north of the popular town of Corbridge, surrounded by beautiful countryside. 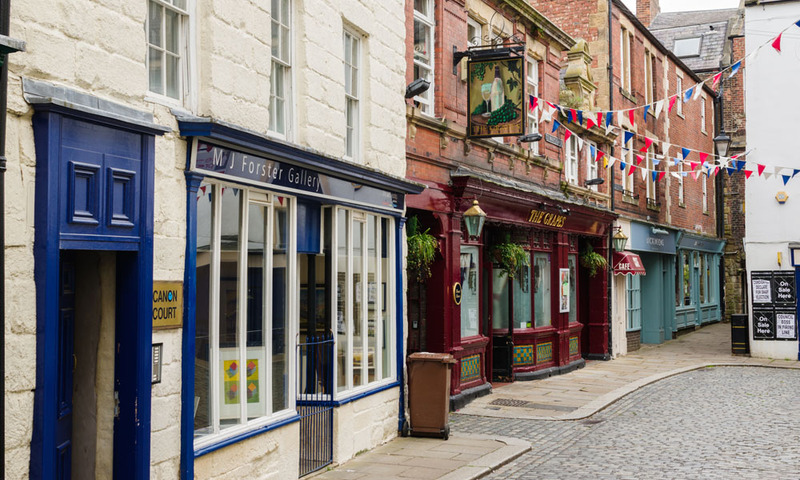 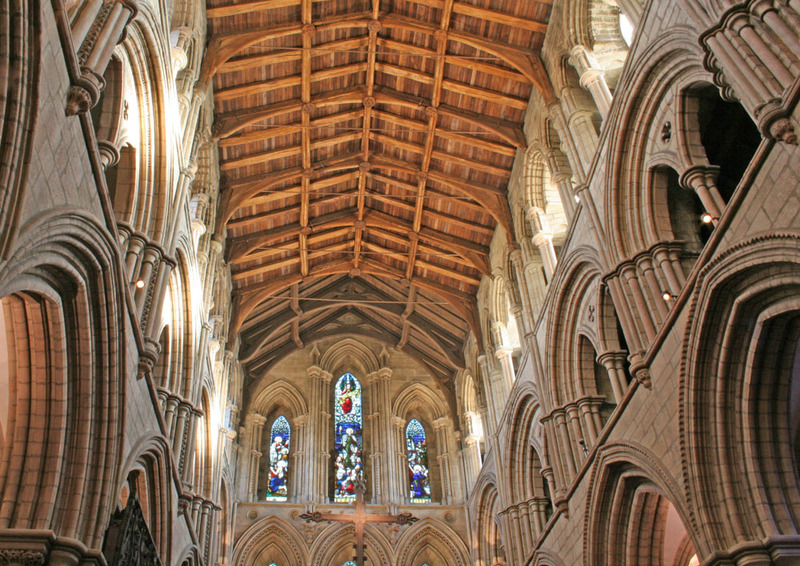 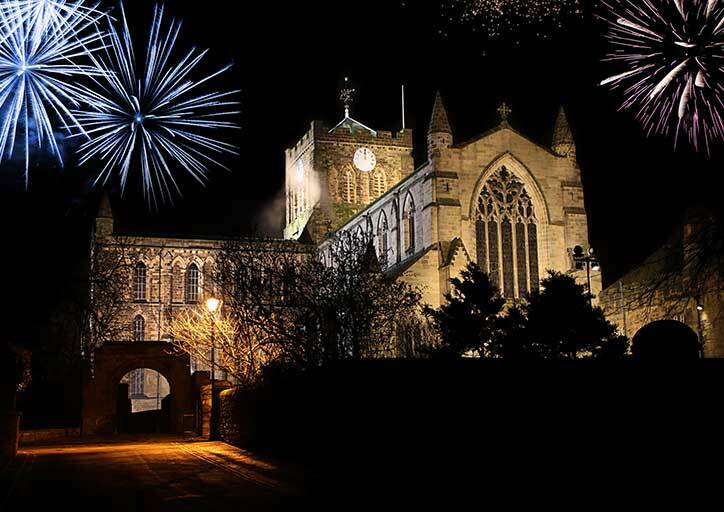 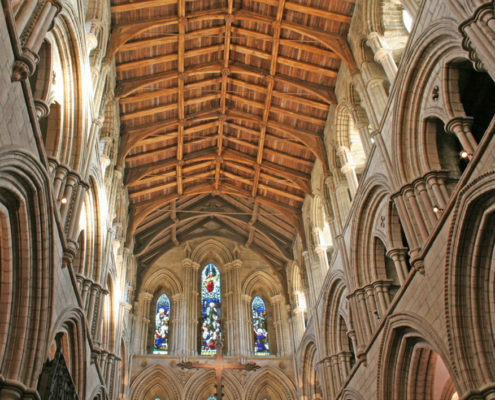 The market town of Hexham is approximately 7 miles to the south west where a range of amenities can be found. 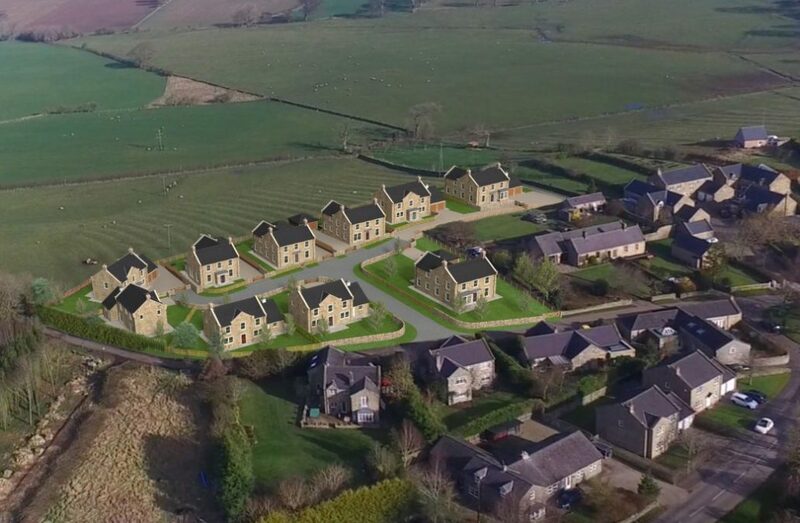 For the commuter Great Whittington is convenient for the Military Road and A69 which give excellent access to Newcastle to the east and Carlisle to the west. 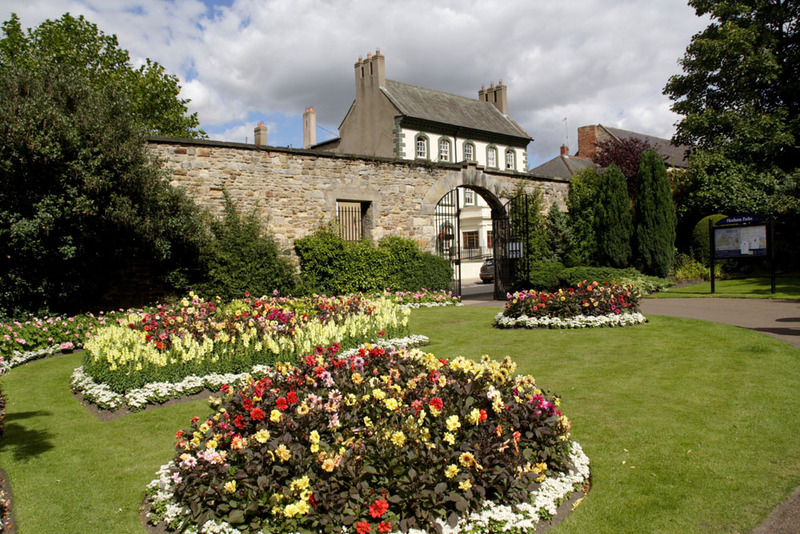 The nearby railway station in Corbridge provides services to Newcastle and Carlisle where connecting main line rail services are available to major UK cities. 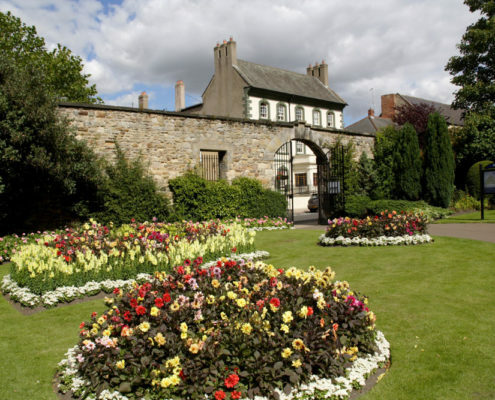 Newcastle International Airport is also easily accessible (approximately 15 miles). 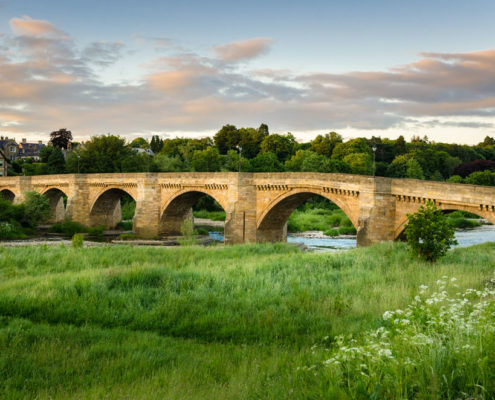 For schooling there are First and Middle Schools in Corbridge, while senior schooling is offered in Hexham at Queen Elizabeth High School with regular school transport available. 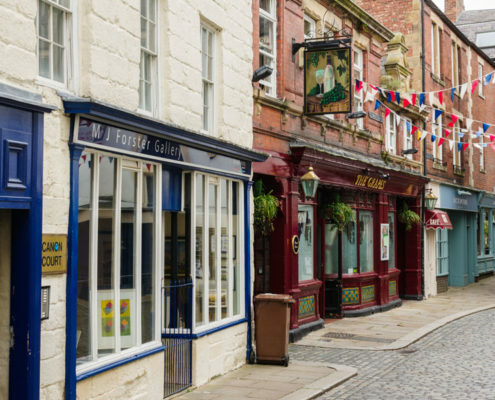 In addition there is Mowden Hall Prep School just outside Stocksfield together with several private day schools in Newcastle. 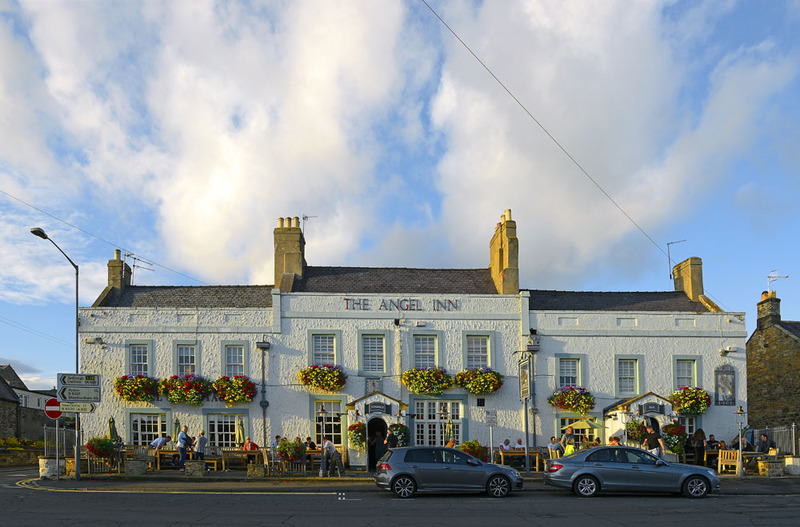 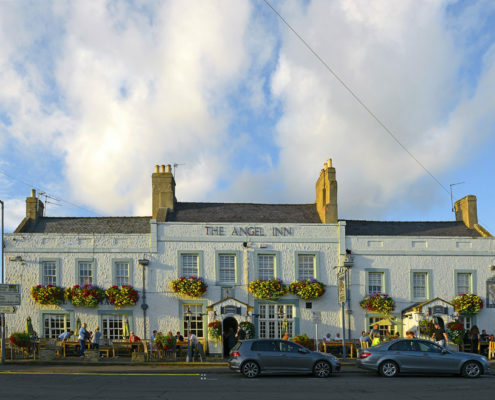 The village itself hosts a pub and Chinese restaurant and there is a very active Village Hall which organises a variety of events. 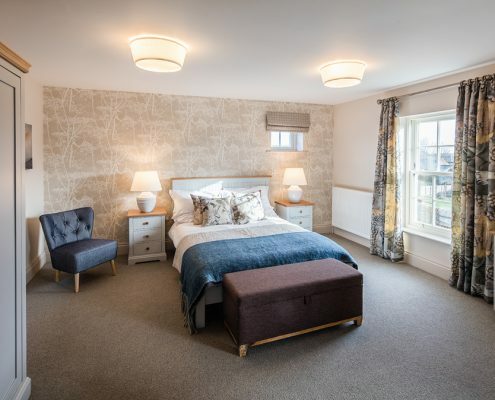 Great Whittington is also less than 2 miles from the highly acclaimed Matfen Hall Hotel and Golf resort and thriving tennis, cricket and rugby clubs can all be found close at hand. 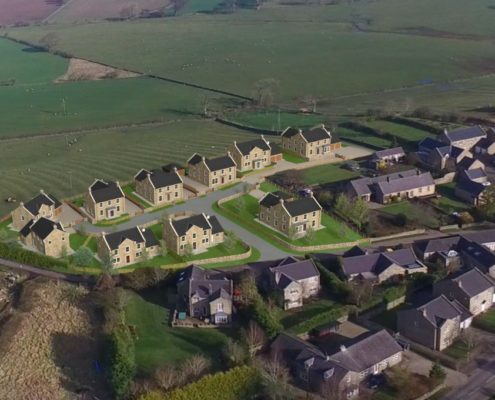 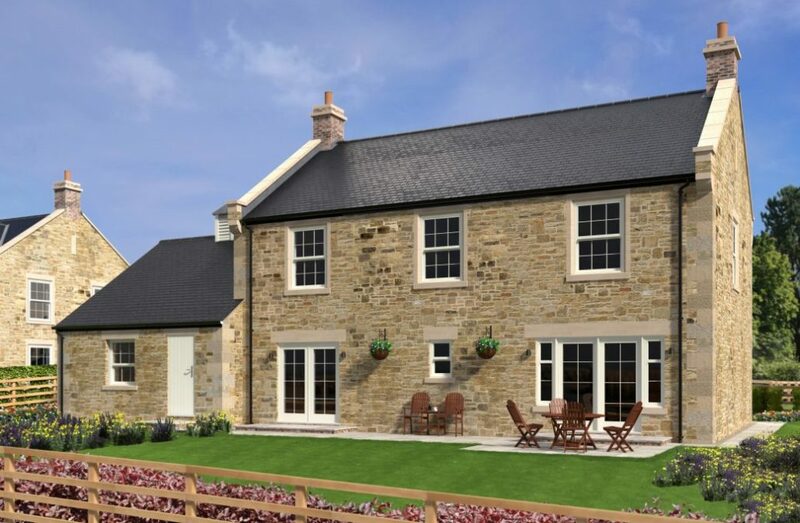 Briar Fields development is only 7 minutes drive from Corbridge, 10 minutes to Hexham and 30minutes to Newcastle City Centre. 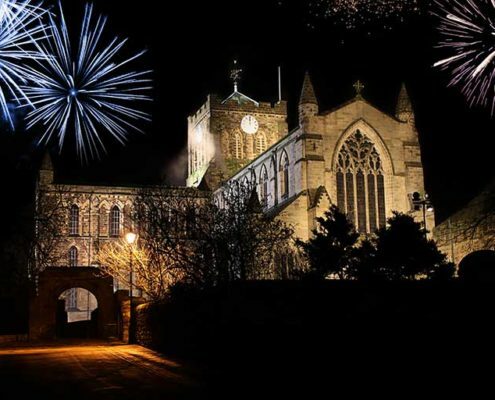 Local Schools in Corbridge and Hexham. 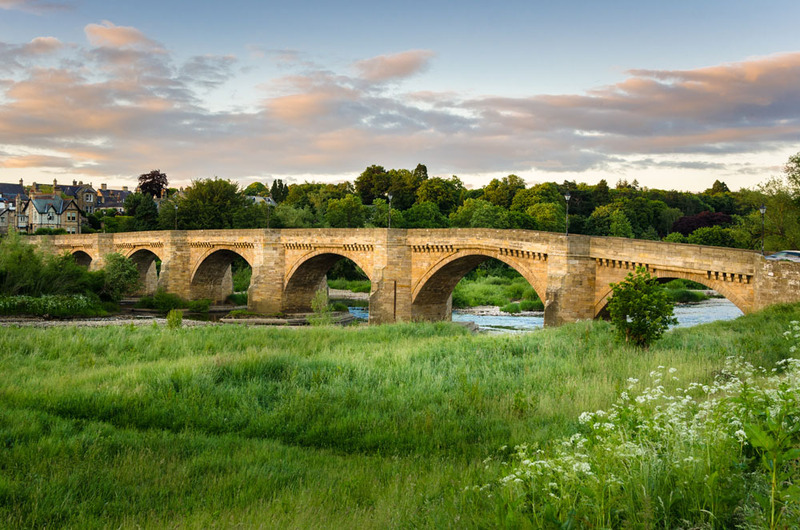 Railway stations at Corbridge and Hexham and a regular bus service through the village. 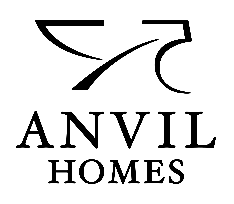 Anvil Homes is a family run business that has built a fine reputation for providing distinctive homes for discerning purchasers. 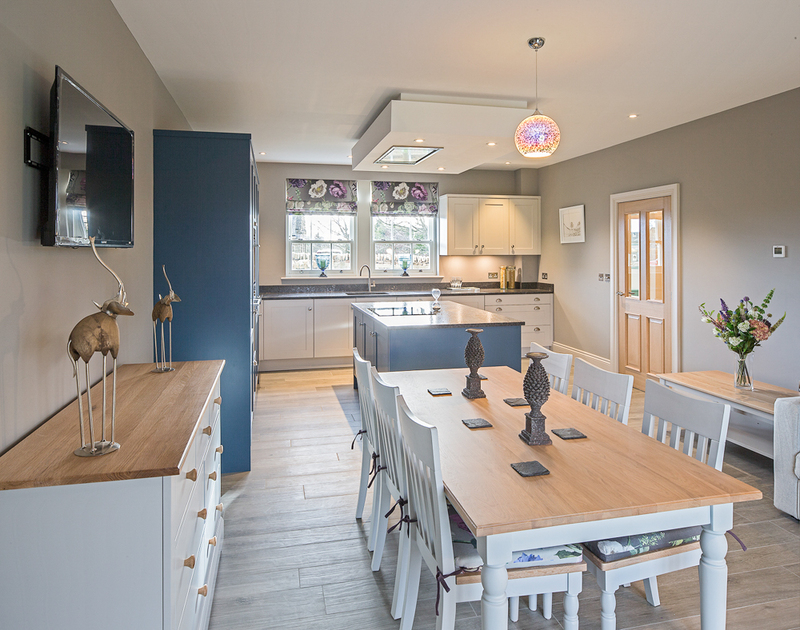 With the emphasis on highest quality, Anvil Homes has developed the skills to produce the next generation of family homes. 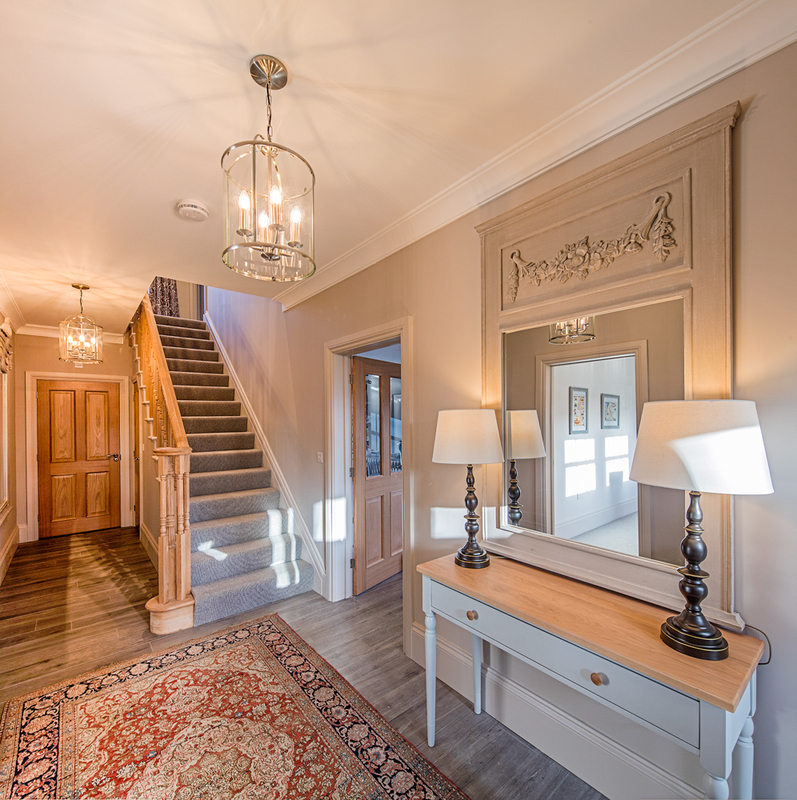 Each home is individually crafted and impeccably finished.